The vacation rental industry is often overlooked, especially relative to hotels. So it might surprise you to learn that it’s actually a massive market, with bookings generating over $85 billion annually — in the U.S and Europe alone. And this doesn’t even take into account the new peer-to-peer apartment rental platforms (like Airbnb), which have begun to cater to vacation renters as well. The industry as a whole stands to see continued growth going forward as behavior changes — as families increasingly choose to rent apartments and vacation homes when traveling, rather than staying in a hotel. On the flip side, thanks to the HomeAways, Airbnb and p2p marketplaces of the world, more and more people are looking to rent their apartments, homes and, soon, even their broom closets. There are currently some six million active vacation rentals in the U.S. and Europe, and this number is heading north. However, the problem is that the vast majority of vacation rental owners aren’t taking advantage of the available technology to market, manage or share their properties. MyVR, a San Francisco-based startup that graduated from Y Combinator in March, sees a big opportunity to help owners and operators alleviate the offline pain of managing their vacation rentals and help bring them new (or at least more regular) business. Co-founders Jonathan Murray and Mike Stachowiak are both owners themselves and initially built MyVR as a side project to help solve their own frustrations with the process. After interviewing hundreds of other owners, they discovered they weren’t alone. So, today, the team of seven is officially launching MyVR, which gives vacation rental owners a website builder along with marketing software that enables them to gain an online presence and manage their marketing in one place. MyVR is integrated with a domain registry, so users can look up custom domains and pick one on the spot. So, in a way, this half of the startup’s business is a vacation rental-focused Weebly, providing functionality that’s standard for site builders but goes way beyond what’s available for vacation rentals. The website builder is obviously important in that it gives millions of rental owners a relatively frictionless entry point to the Web, but the real key is how the site then helps owners get the word out. The platform allows users to publish listings on the biggest vacation rental listing aggregators, like HomeAway, FlipKey, VRBO, VacationRentals.com and TripAdvisor and manage their listings from their account and sync calendar, rates, photos and property info. The platform also automates the creation and publishing of Craigslist ads, so that users can post on the classifieds site, link the ad to their website and get notifications. 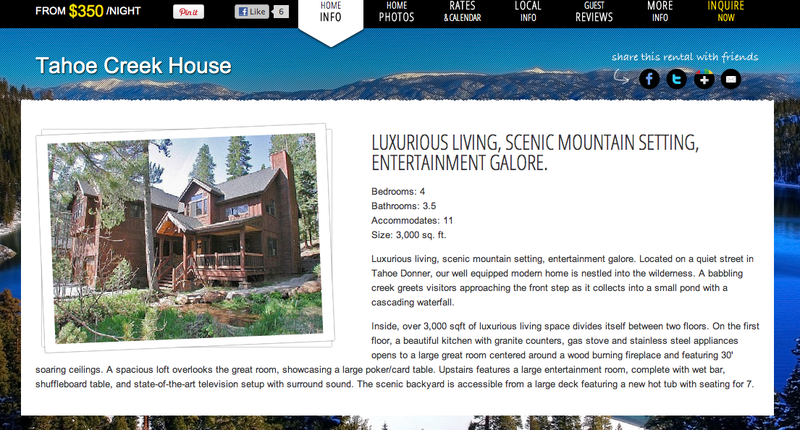 But, given that we now live in the Facebook Era, limiting marketing to listings sites is just bad business. It also doesn’t provide the tools to connect with those who’ve rented from you in the past — a significant portion of vacation rentals — which a social platform inherently provides. 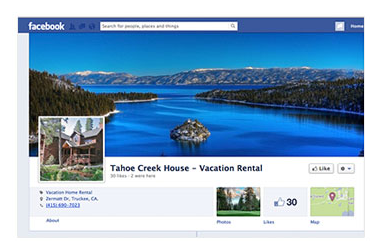 So MyVR gives users the ability to create Facebook Pages to connect/engage with prospective and past renters, auto-populating the page with home info, photos, calendars, rates, etc. On top of that, users can also add local guides to their websites, which allows renters to check out the events, concerts, etc. to see what’s going on in the area during their stay. Though the vacation rental industry is growing, Murray tells us that there aren’t a lot of players in this section of the vacation rentals space — at least not yet. There are online services like Vacation Storebuilder, which offers eCommerce solutions for vacation rentals, or the straightforward, rental-focused website builder WebChalet, to name two. Or there’s Futurestay. But most sites are focused on the web presence half of the pie, not marketing. 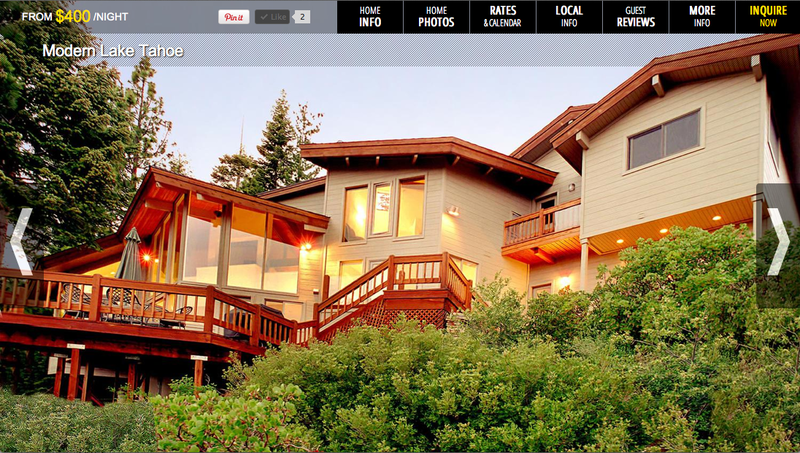 On the marketing side, Erick wrote about a startup called Evolve last year that offers a white-glove approach to marketing and managing vacation homes. Evolve is great for those who just want to hand over their keys and let someone else take care of the rest. MyVR, on the other hand, is more for those who want to be in control of managing and marketing their properties but without the hassle. The other factor is that, if Evolve rents your home successfully, it takes 10 percent of the booking, which is going to be more expensive than $12/month. Without a doubt, it’s a niche where there isn’t much product awareness, but MyVR isn’t alone in seeing the opportunity. After graduating from Y Combinator, the startup raised a $1.4 million seed round from a couple of firms, including SV Angel and a re-up from YC, and a bunch of angel investors like Hunch co-founder Chris Dixon, YC partner and father of Gmail, Paul Buchheit, Hotwire President Clem Bason, Tenaya Capital’s Ben Boyer, TrialPay co-founder and CEO Alex Rampell (who Murray sold his last business to). As to what’s up next, the co-founders said that, while many vacation rental owners are seeking more automation in managing and marketing their properties, they’re not so eager to let someone else screen potential candidates for them. That takes a lot of trust. (See Airbnb’s rental fiascos for one reason.) So MyVR is building rental screening, booking and payment tools that will help owners find the signal amidst the noise and get back to whatever the heck it is they do with the rest of their lives. For more, find MyVR at home here.